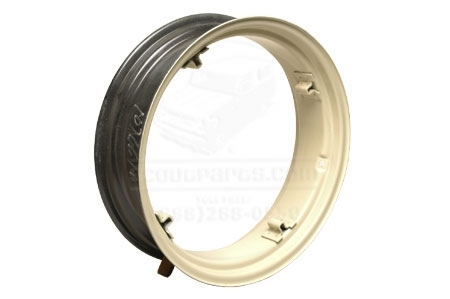 Cub 7x24 rear rims with mounting loops(4). Rims are white and will accept 8.3-24 or 9.5-24 inch tires. You will need to purchase 1/2" x 2 1/2" long grade 5 carriage bolts to install these rims.